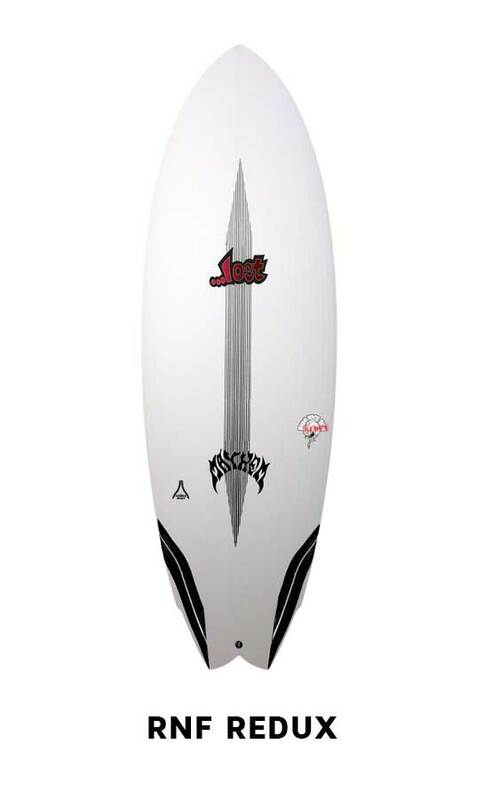 We have a large range of Carbon Wrap Surfboards in Stock available and ready to ship! 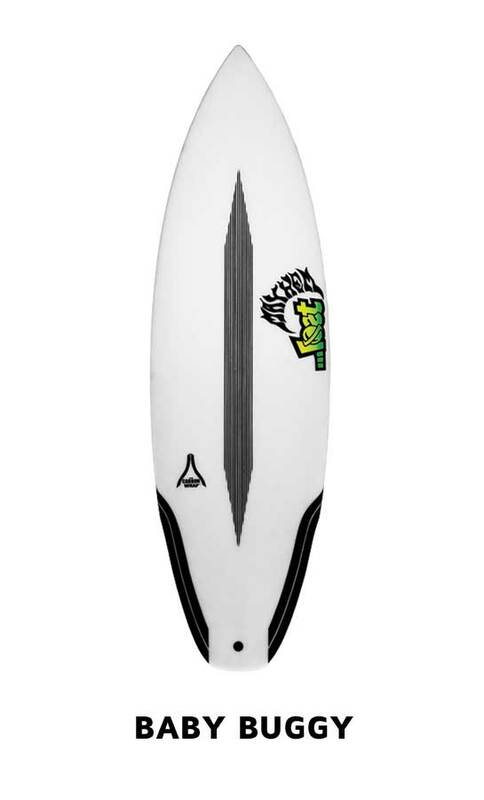 Check out our Carbon Wrap Boards in stock below! 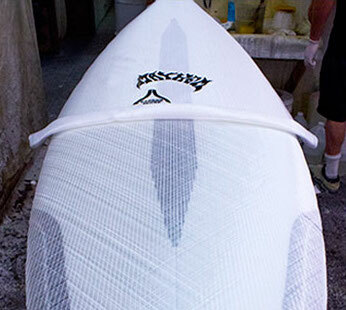 CARBON WRAP™ is a patented surfboard technology, structurally engineered for optimum flex and performance. 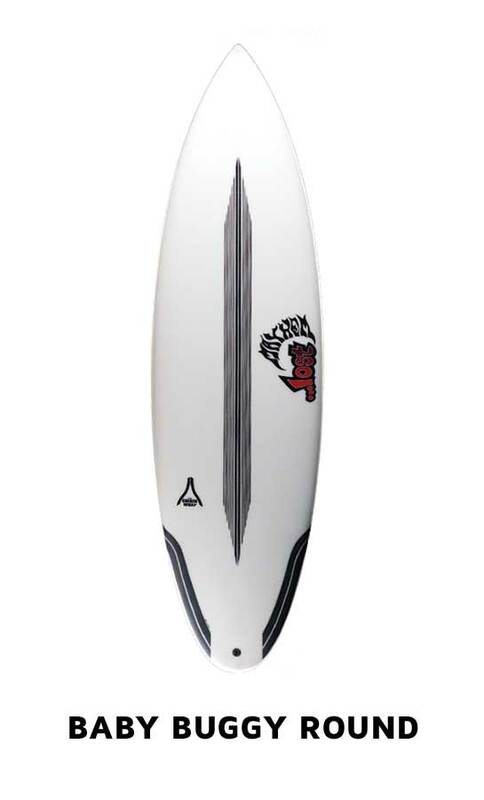 CARBON WRAP™ was originally created by Dan MacDonald, a Gold Coast surfboard manufacturer, who wanted to make a light weight surfboard that didn't sacrifice strength and still provided next level performance. 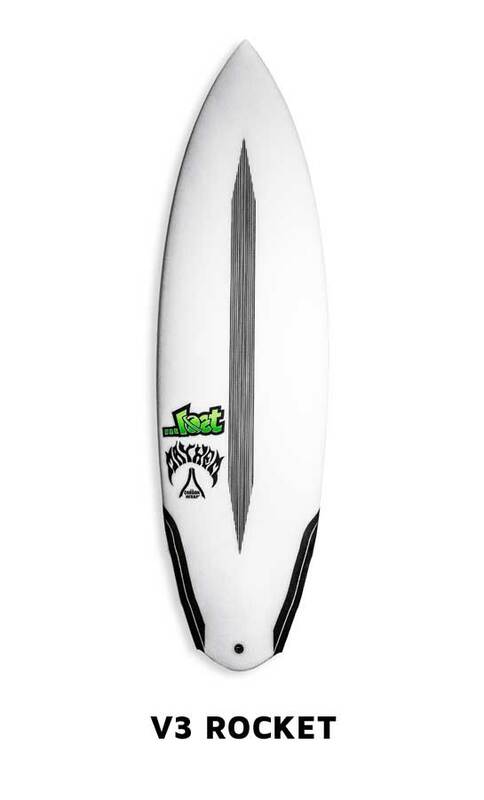 The Carbon Wrap focuses on the flex pattern of a surfboard, allowing for additional stiffness through the nose of the board whilst the carbon spaced out between the feet, it gives the tail extra spring with quick response and more force. Our exclusive Carbon bands are strategically positioned running from nose to tail. Flaring the carbon out towards the rail utilizes the contortional twist creating optimum flex and drive. 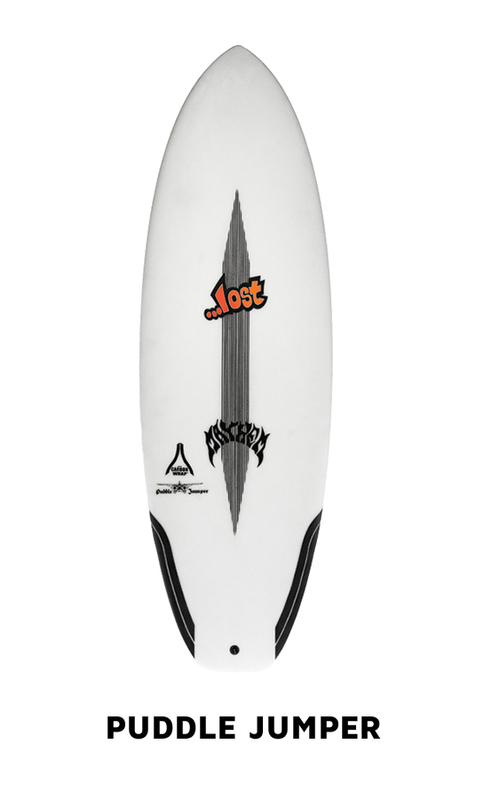 It is the unique method of wrapping these carbon bands from the bottom of the board, and around the rail onto the deck that provides the unique load and release. 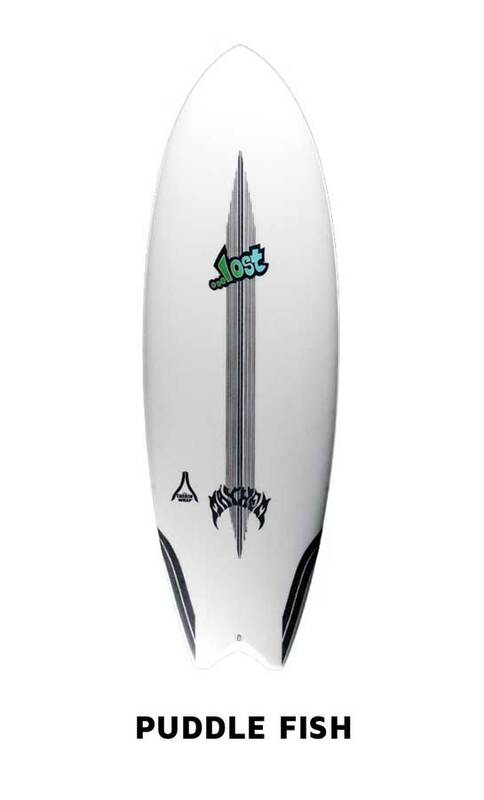 The carbon wrap technology is designed to increase drive and allow positive tail flex providing a lively, next level performance based board that will propel your surfing into the next level. We start with EPS blanks that are ultra light and fused cell to ensure strength and performance. These are shaped and wrapped in the carbon fiber bands. 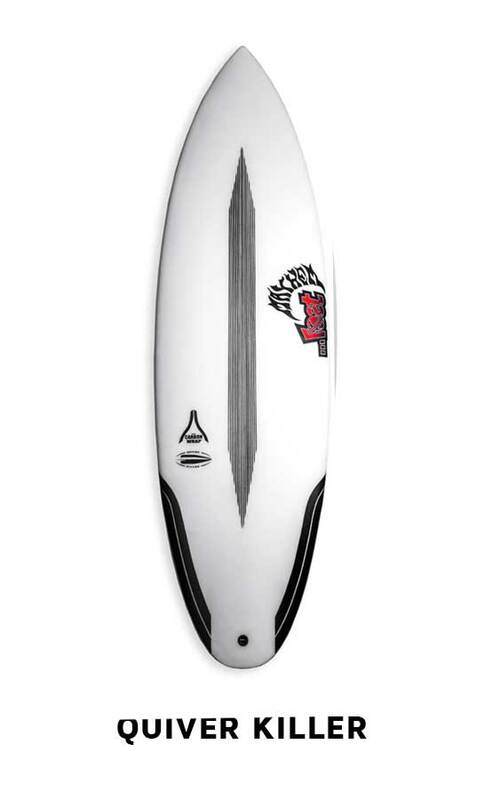 The exclusive carbon fiber bands are then place along the board aligned at the nose and curving outward towards the rails. This positioning allows for unique longitudinal and torsional flex pattern. Wrapping the carbon around the rails and onto the deck crates a lively flex that has loads of release combined with plenty of speed and drive. The carbon wraps onto the deck and through the tail to act as power pedal under your back foot for drive and control while also minimising pressure dents. Optically brightened EPOXY resin is then used before the boards are then laminated with a proprietary composite of fibreglass and carbon fibre. 45degree 'X-Glass' ™ is used to add longitudinal strength, encouraging flex with minimal weight. 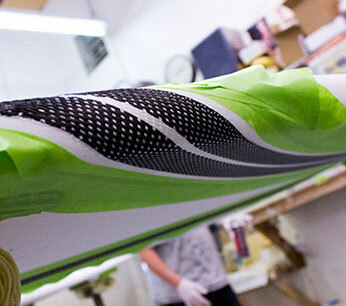 Foot pressure is radiated outward to a longer section of the rail, adding greater edge control. A web-fused carbon deck has been added for reinforcement. Smoothly tapering flex and preventing the deck from caving rail to rail for added strength and drive. 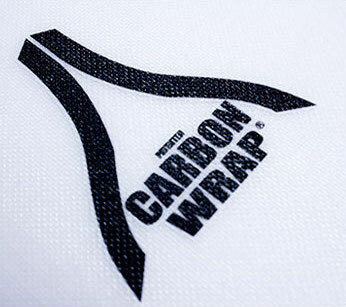 CARBON WRAP™ increases drive and provides a unique and lightning fast re-flex effect to propel your surfing into the next level of performance. 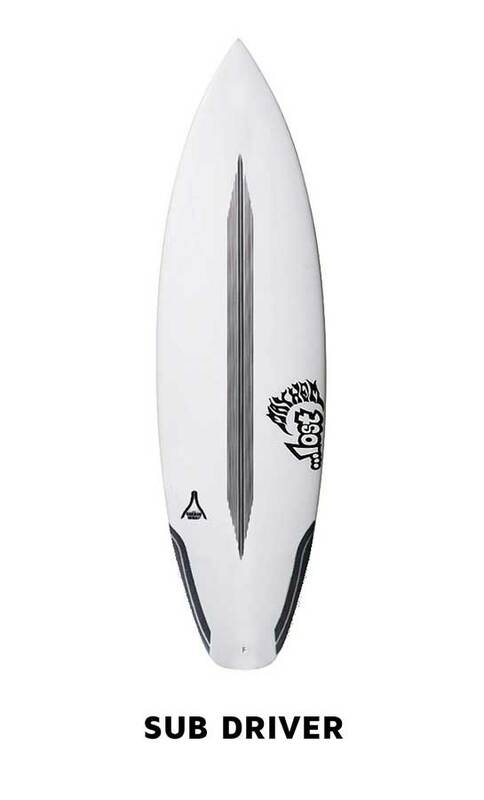 This patented CARBON WRAP™ technology surfboard has been built using a variety of high quality fiberglass weaves, customised Carbon fiber unique to this construction and only the finest in EPS cores. 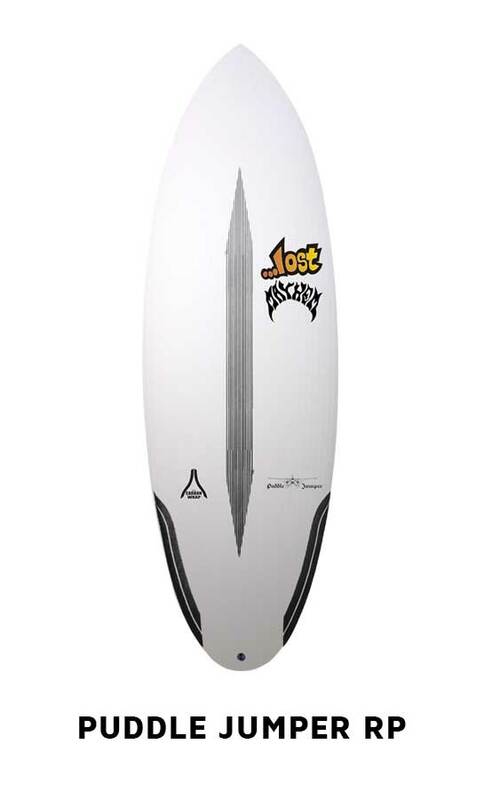 This is a high performance, premium piece of surfing equipment. 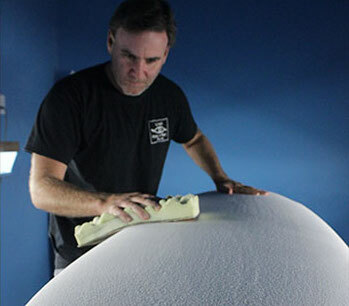 We recommend the following care for your surfboard. Limiting exposure to the sun will prolong the life of this surfboard. 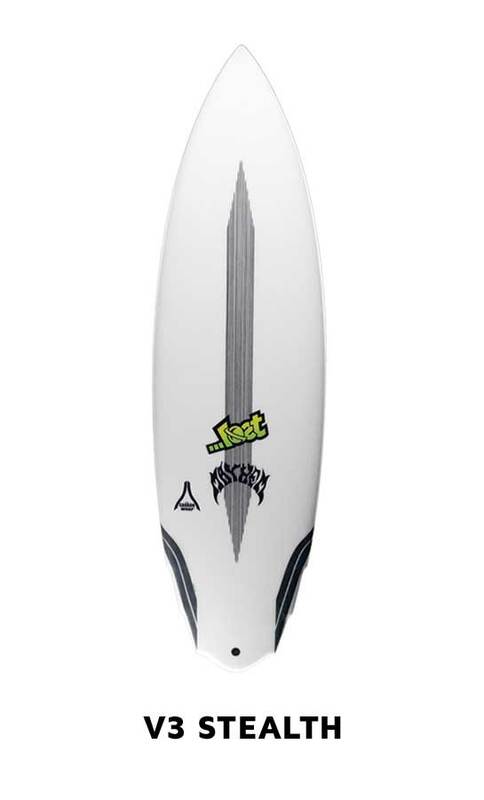 Do not leave this surfboard in your vehicle or exposed to direct sunlight for long periods of time. If you’re going to make it a beach day, keep your board covered up. If your board is damaged, let it dry out and use EPOXY resin only when being repaired.